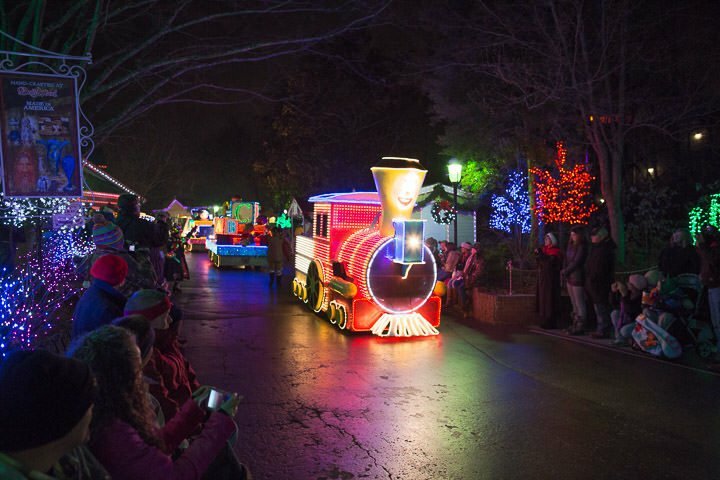 Christmas at Dollywood is nothing short of remarkable. 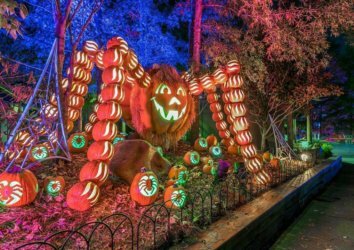 The park comes alive with holiday tunes and costumed characters, who charm visitors of all ages. 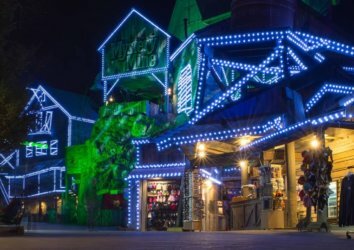 As you plan your Dollywood adventure, keep in mind that the theme park is closed on Christmas Eve and Christmas Day — and during most of the month of January. 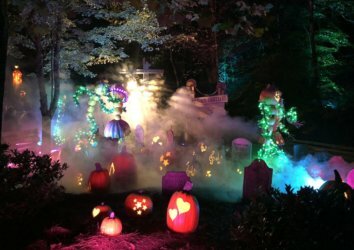 Weather also sometimes forces closures on days in which the park is slated to be open; if you’re absolutely determined to visit before Dollywood’s extended closure, aim to stop by in early or mid-December. Visitors of all ages may find thrills on the best rides at Dollywood, but ultimately, it’s music that sets the park apart. This is particularly evident during the annual Smoky Mountain Christmas event, when bluegrass music takes over. 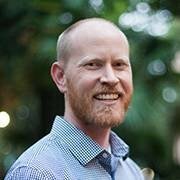 From acoustic tunes at the Back Porch Theater to the engaging Christmas in the Smokies show at Celebrity Theater, beautiful tunes will echo through the park as you take in its uniquely festive atmosphere. Keep your camera or smartphone handy as you meander through Rudolph’s Holly Jolly Junction. There, you’ll find several of your favorite holiday characters, including Yukon Cornelius, Bumble the Abominable Snow Monster, and Rudolph the Red-Nosed Reindeer. This is the perfect opportunity to capture cute family photos or snag your next image for Instagram. 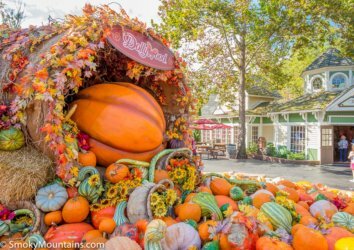 Don’t leave Dollywood until you have witnessed the spectacle of the Parade of Many Colors. The themes from this parade might seem familiar if you’ve ever seen the NBC special Christmas of Many Colors: Circle of Love. The parade features several costumed characters dancing and interacting with the crowd, as well as a seemingly endless array of lighted floats. 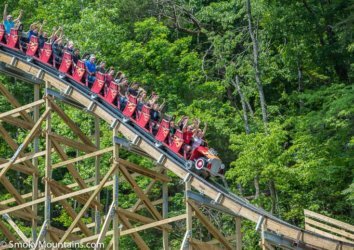 Maximize Your Vacation: Ways to Save Money at Dollywood!